And lo, everyone's favorite wiseass comic book character was reintroduced to the world afresh. If you're paying attention to the trades, to Twitter, or to your television, you're no doubt aware that the big oversized promotional campaign for Deadpool, Fox's attempt at hitting the reset button on the character following 2009's disastrous X-Men spin-off, Gavin Hood's X-Men Origins: Wolverine, has hit critical mass in the final week leading up to movie's opening day. And if you've had your eye on the tongue-in-cheek viral marketing push, you're probably at least gently curious to see what this jocund loudmouth superhero has to offer beyond his preternatural gift for firing off one-liners, a hefty personal arsenal, an array of sweet ninja moves, a totally slick getup, and the unassailable charisma of Ryan Reynolds. 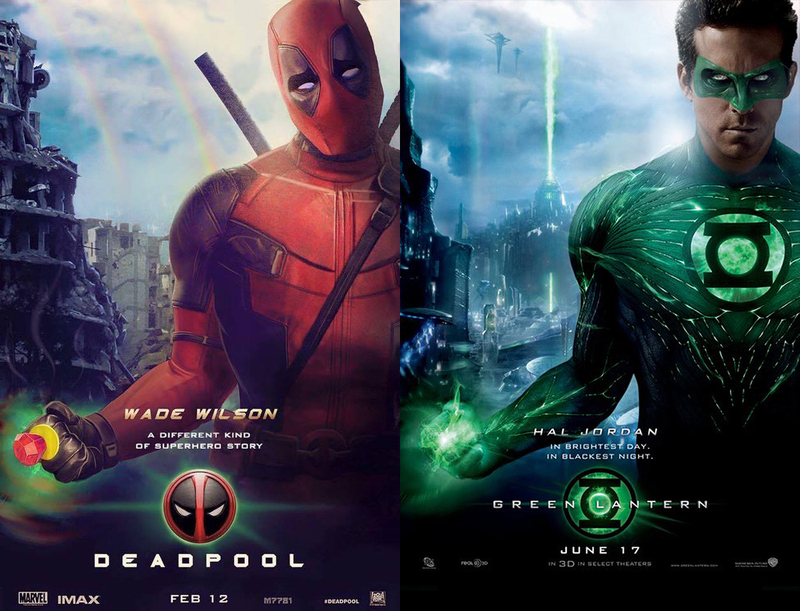 But more so than his dual katanas and snappy zingers, it's that aforementioned marketing that has served Deadpool best heading into his big screen rebranding transformation. Think about it this way: Until you first laid eyes on Reynolds in full garb, reclining by a roaring flame, did you give more than half a damn about Deadpool? If you're a dedicated fan of the character and, god forbid, all things Rob Liefeld, the answer is probably “Yes, yes I did.” If you aren't, or if you only made your first acquaintance with him thanks to Hood's film, you might be leaning more toward the “no” side. Still, what are the odds that the constant barrage of “stuff” hitting the web in service to advertising Deadpool has ever so slightly piqued your interest? Whether you see the film or not is beside the point here. How many films, big or small, mainstream or independent, manage to saturate social media quite so thoroughly as Deadpool? We aren't just looking at the rehabilitation of a controversial comic book figure. We're looking at what is arguably one of the biggest viral marketing success stories since “viral marketing” officially became a part of the Internet's colloquial lingo. Reynolds shared little else about Deadpool for a while after that, aside from wonderfully tasteless holiday tie-in announcements, Instagram pictures, the occasional production photo and fan art, but he didn't really need to. Grant that in May, news about the film slowed down as production wrapped up, and grant that by then we were all two months away from San Diego Comic-Con, at which Deadpool was sure to make an appearance. If the movie had stayed under the radar until that point, it probably wouldn't have made a huge difference to its commercial well-being in the long term. 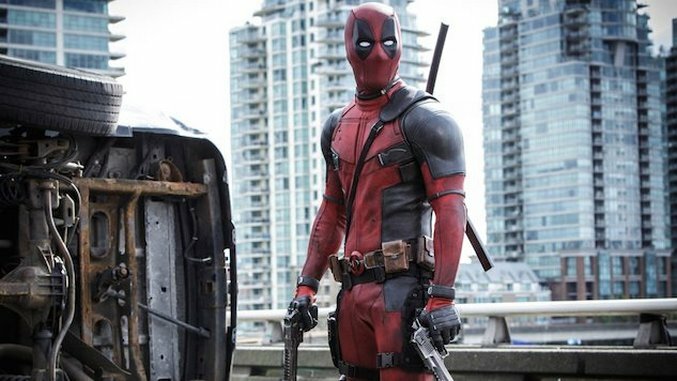 But the steady unveiling of new and varyingly profane media boosting Deadpool's status from March to May did what any good marketing campaign is supposed to—incite chatter—while also giving the film a sheen of newness in the increasingly crowded superhero genre. Twitter and Instagram have given Reynolds a sort of freedom in promotion that most superhero movies don't normally enjoy: the freedom to be as bawdy as he wants without having to worry about trimming content to fit within the decency parameters of television. Then again, most superhero movies aren't built around a guy like Wade Wilson. Maybe it isn't a surprise that Reynolds has made so much hay with pushing Deadpool on Twitter. Maybe it would have been more of a surprise if he hadn't. All of which puts us several thousand miles away from where we began: with nothing more than the usual generic news blurbs about scripts and casting, plus a side of incredulity over Reynolds' choice to take on another superhero movie following the failure of Green Lantern. (That, at least, has led to gems like this nifty little poster mock-up.) Deadpool's playful approach to self-promotion rises it above the morass of superhero tidbits found just about anywhere on the Internet any day of the week. There's a good chance Deadpool ends up being remembered as much for the saucy Twitter antics of its PR team as for, you know, Deadpool himself. Or maybe there just wasn’t a more appropriate means of hyping a guy like Deadpool to John Q. Public. Whatever the case, Fox clearly knows what Deadpool’s target audience wants and also how to reach moviegoers outside of that demographic. That doesn’t necessarily mean Deadpool is a good movie—all of this Twittering could just be a smoke screen, and the whole thing could be awful—but credit where credit is due: They sure know how to make a sword-swinging, gun-slinging, foul-mouthed antihero into a viral sensation.